Everyone wants to know -- were members of the Jewish community involved in the famous strike? Here's what the evidence suggests. 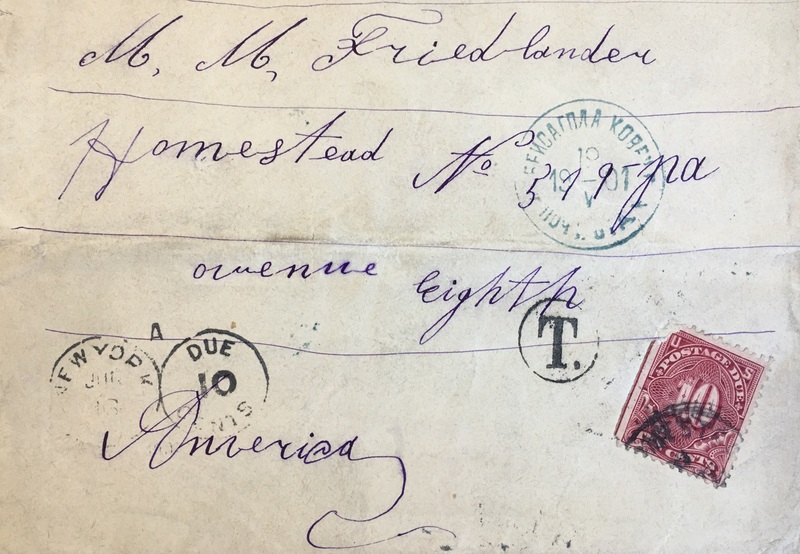 An envelope addressed to M. M. Friedlander and postmarked 1901 found its way to Greece -- and that is the least exciting leg of its journey. 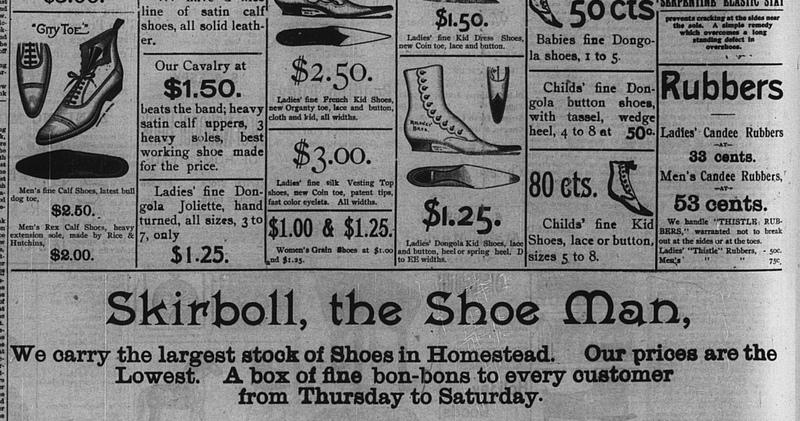 Examining the lessons of the decades-long interdependence of the town’s merchants and millworkers. He arrived just before the steel mill opened and blazed a trail that many followed after him. And wait ’til you see who his son is! A Homestead boy with a colorful childhood. A father who tried to follow the path towards prosperity. The son's success would write them both into history. 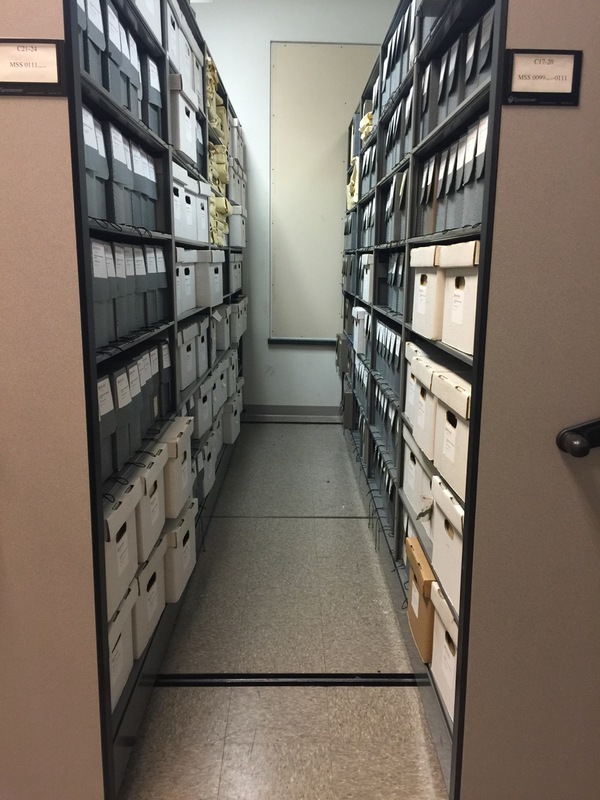 Check out the archival records that make this website possible. 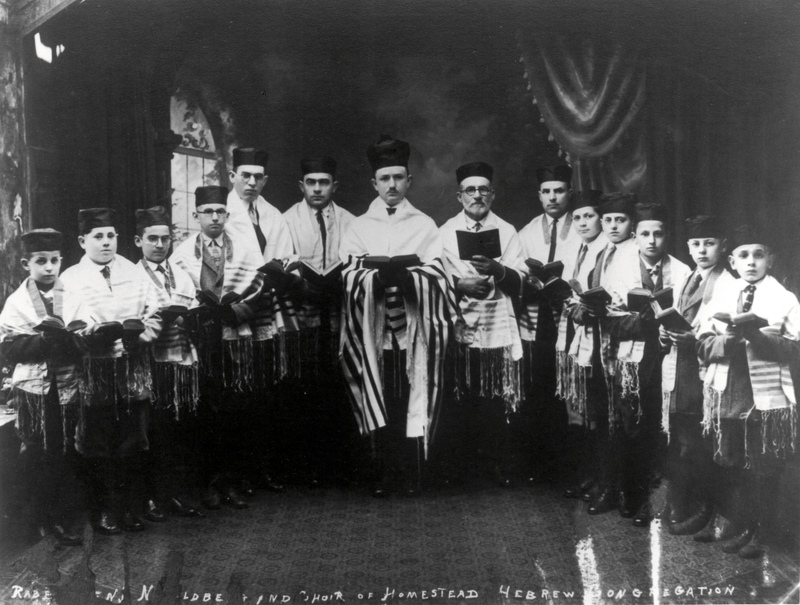 Twelve Homestead Hebrews made the ultimate sacrifice during the two World Wars. Sandy Koufax had nothing on the Homesteaders who missed the fall millinery openings. Learn about all the community's familiar and unfamiliar holiday customs. 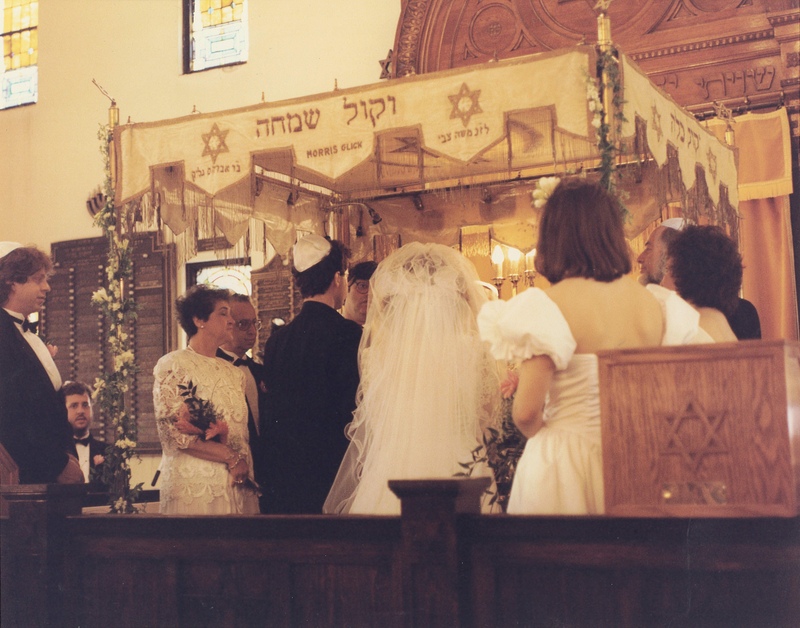 Long after the last generation of children grew up, a daughter of Homestead was determined to have her wedding in the synagogue. 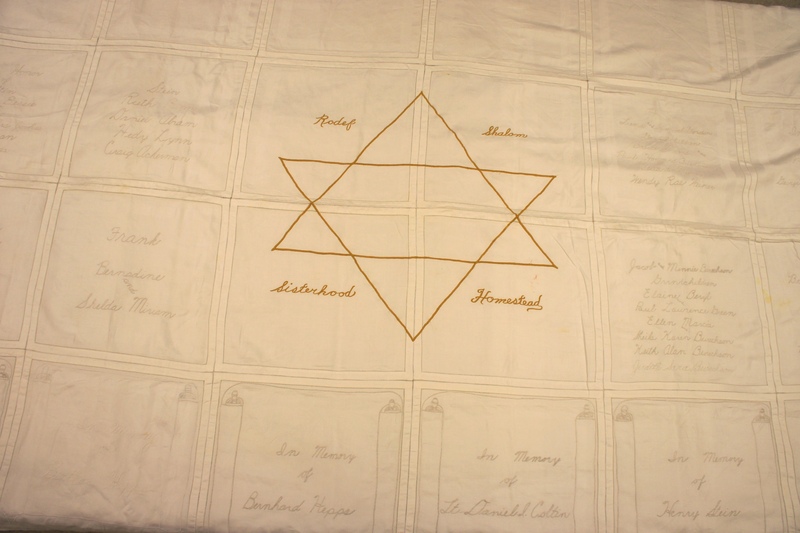 A unique artifact from the synagogue, this tablecloth (yes, tablecloth!) honors both the families whose names appear on it and the women who raised the money to make it. 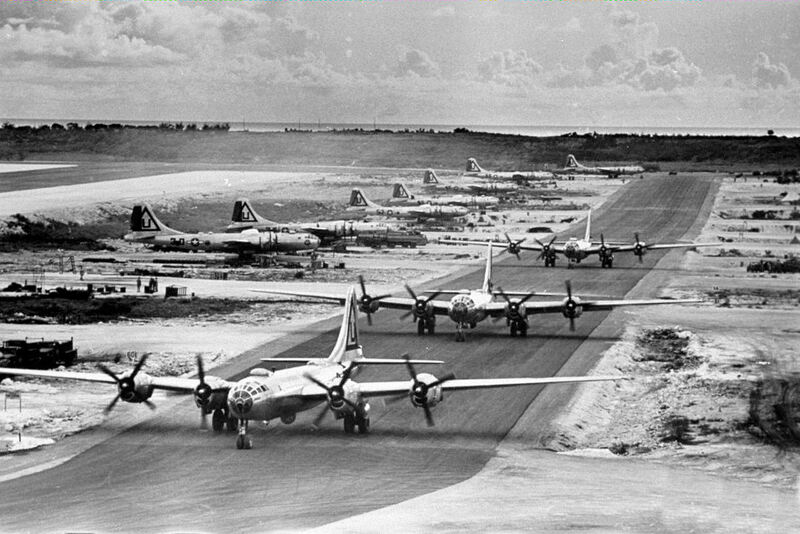 The Sisterhood raised so much money in War Bonds that a plane was named after the synagogue! But can we locate it now? The synagogue building has housed a church since 1993. Here's what it looks like today. Gathered here are records, stories, photos, and memories about this once-thriving community, covering the earliest traces of Jewish life in this historically important town, to reminiscences from the last generation. 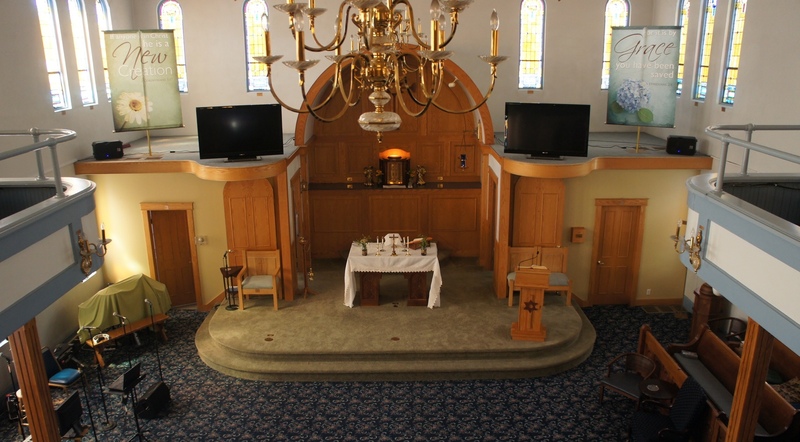 This website takes its name from the community's synagogue, the Homestead Hebrew Congregation Rodef Shalom, which was organized in 1894 and closed in 1993. I hope you enjoy reading what I've collected and written. Your feedback and contributions are welcome!